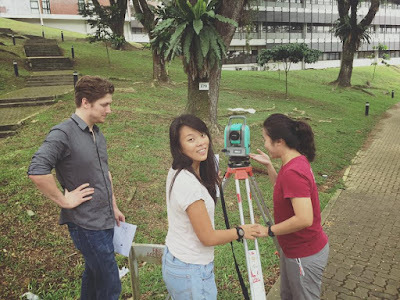 Restore Ubin Mangroves (R.U.M.) Initiative: RUMbles with students, science and lanterns! Last week, RUM Research Assistants Zheng Zhangxin and Ong Wei Bin led by Prof Dan Friess begin work to map out the mangroves in earnest. 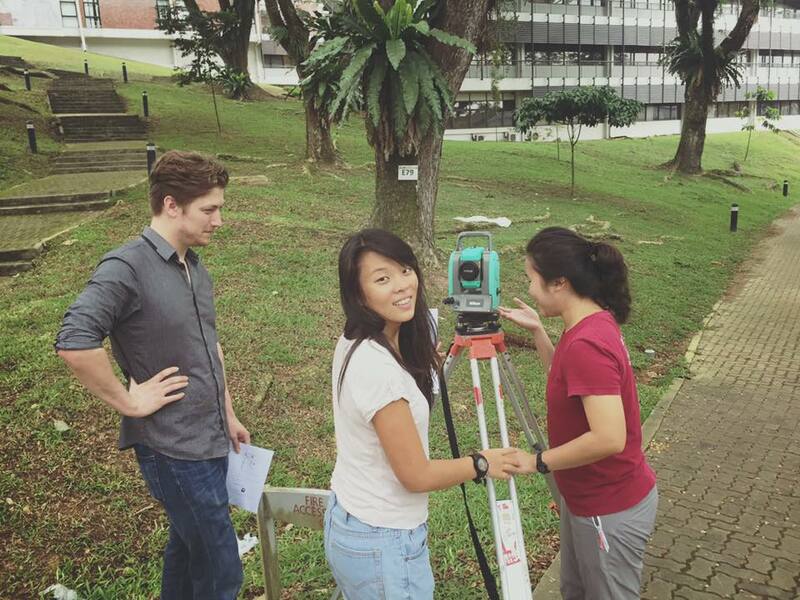 Here they are making sure all the gear and methods are in good order before heading out to Pulau Ubin. They will soon need volunteers to help. More details will be posted on this blog soon! Dan also brought another batch of students to Pulau Ubin over the weekend. They visited Chek Jawa, RUM sites and had a chance to learn more about how the community came together for the Restore Ubin Mangroves (R.U.M.) Initiative. One of the key community stakeholders, Stephen Beng of the Marine Conservation Group, Nature Society shared more about the Society's work. 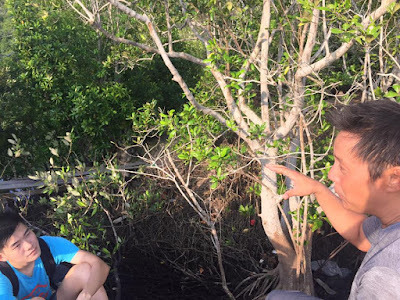 Stephen Beng shares about mangroves. 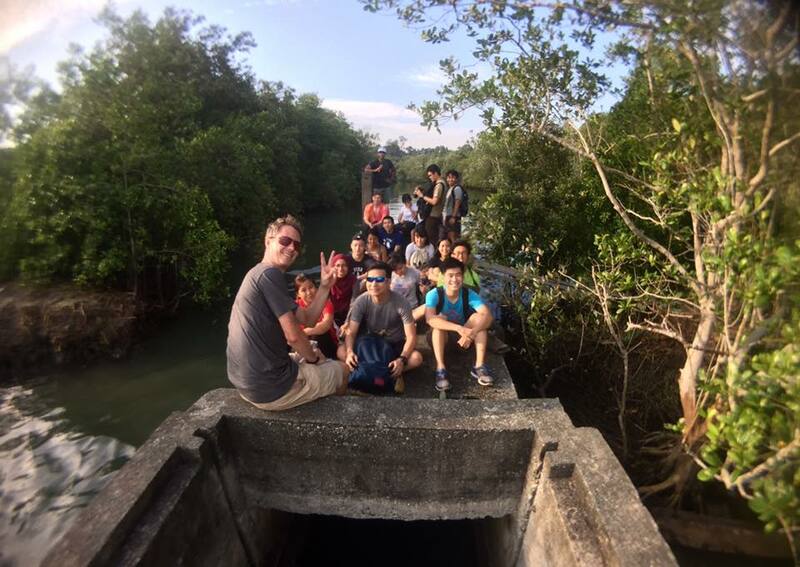 Another key community stakeholder, Phillip Lim shared his deep experience in aquaculture and ecology in Pulau Ubin and beyond. 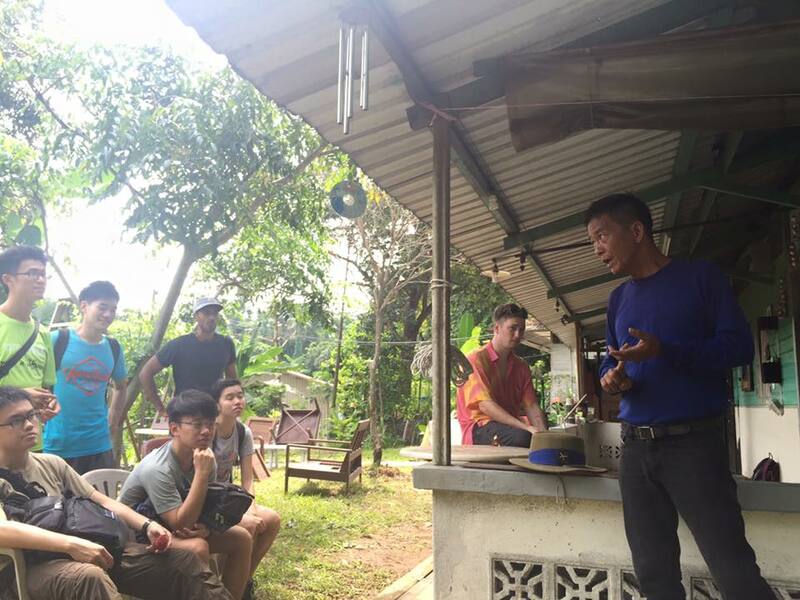 Thanks also to Phillip Lim, the students had a chance to have a closer look at a kampung house on Pulau Ubin. Phillip Lim, a fish farmer from Pulau Ubin shares. 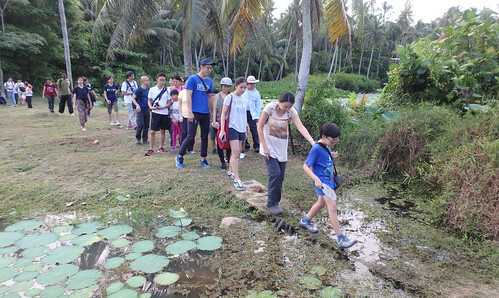 A special edition of the FREE monthly mangrove walk for the public was held over the weekend too. As usual, we started at Uncle Lim who kindly allows us to use his shop to gather before the walk. We were joined by some very sporting participants who enjoyed the kampung atmosphere as we learned about how abandoned aquaculture ponds on Ubin have been and can be restored. In celebration of traditional life, this month we had an evening walk with lanterns! 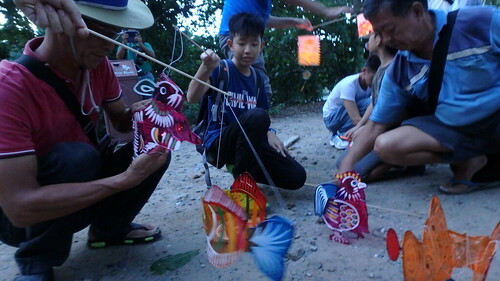 Thanks to Phillip Lim for the idea and for having Ubin villagers share stories and help the kids learn about traditional lanterns. 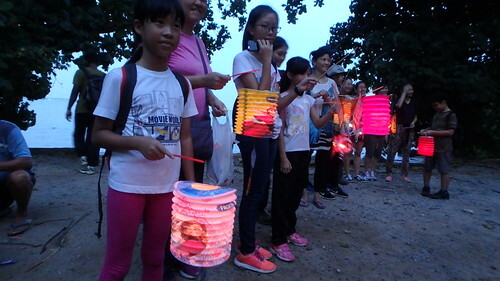 Here's a lovely video of our magical walk with lanterns on Pulau Ubin after sunset. Thanks to Mohammad Juhari. 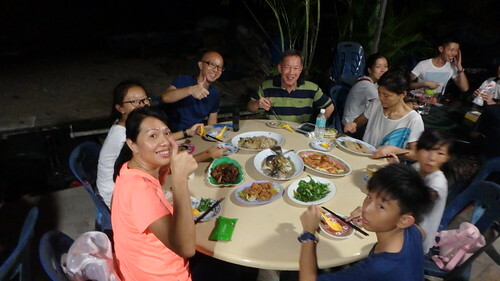 We ended by sharing moon cakes, and a delicious home-cooked meal at an Ubin restaurant. Thanks to Ah Yong for organsing it! Thanks to those who took great photos of us and what we saw, especially Mohammad Juhari! Thanks to Cheok Zi Yu and friends for helping out during the walk. 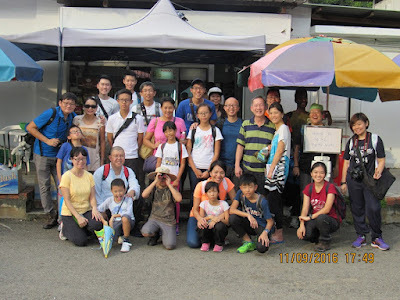 As usual, this walk would not have been possible without the Ubin community: Thanks Uncle Lim for his shop space, to Ah Yong for a great dinner, and special thanks to Phillip Lim for taking care of us making sure we got home safely. About 30 people joined the walk.